Now that summer is officially over, a weekend getaway to the Great Lakes State may not be high on your travel bucket list. However, fall is the perfect time of year to travel north, as the opportunity awaits to get two tours for the price of one! 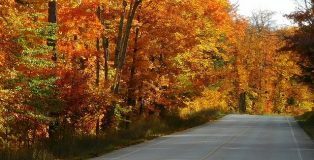 The changing colors of Michigan’s beautiful landscape provide a stunning backdrop for a craft beer tour in Southwest Michigan.